The GentingBet website is owned and operated by Genting UK Limited, a company that is run from Alderney and Malaysia and has a valid licence from the UK Gambling Commission. The Genting brand has been around for years, and it is, without doubt, a trusted brand that has captured the attention of many players. GentingBet has immensely invested in its website by adopting the FSB Technology software that has succeeded in delivering quality services and products for the bookmaker. The website’s quick loading time, huge selection of markets and excellent bonus offers are some of the few things that given GentingBet a chance among the top bookmakers. This GentingBet overview will dig deeper into the quality of game offering, promotions, and services offered by this bookmaker. The Genting Company which runs GentingBet started its operations around 1960 and has gained tremendous ground in the international gaming scene over the years. GentingBet was launched in 2014 and given the blooming gaming history of its operator it was evident that it would offer an excellent betting platform, perform exceptionally well and rise quickly to become one of the best bookmakers. GentingBet has managed to create a name for itself in the betting world. At first glance, this sportsbook appears to understand what players want. 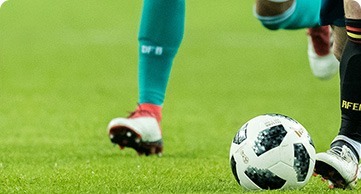 They know just how to capture the attention of potential players by offering betting guarantee insurance in case the first bets placed by new players lose. GentingBet has also paid attention to customers by offering an outstanding customer support system that is available always and helpful with all matters concerning betting. Besides, they strive to provide customers with the best, and it is manifested in the secure payment methods, betting markets that capture the interests of all players and a well laid out website that is easy to navigate. The best bookmakers in the industry always grow their customer base from the positive reviews of existing players. Players will always have something to say about a given betting site and their experience through the whole gaming process. Players have continuously reviewed GentingBet, and they always give their thoughts and advice depending on their experience with the bookmaker. GentingBet customer support is one of the services that players are regularly reviewing. Clients are happy with customer support in this bookmaker as they are available all through and can be reached through email, live chat or through a phone call. Players love the convenience of just clicking on a link to get phone support automatically and are also delighted that the phone calls are toll-free. The customer agents are friendly, respond quickly and are incredibly knowledgeable on all betting matters. Players are always fast to note the sense of safety and security they feel when playing at GentingBet. First, this bookmaker is operated by a firm that has been in the gaming scene for long and its reputability is undisputed. Players also feel secure because the sportsbook is fully licensed and adheres to all gambling regulations. Besides, GentingBet uses the latest encryption technologies ensuring that all information that players submit to the website is transmitted and stores safely. GentingBet website always gets positive reviews as it has an excellent layout and functionality. The bookmaker’s website is powered by FSB Technology, a recognised software company in the industry. The colour scheme of the website is well coordinated, and it is quite easy to locate the available markets on the left-hand side. Players also love the quick links and football coupons sections that highlight significant events that are taking place. The most popular betting sites have many products that attract and retain players, among them bonuses and promotions. GentingBet has some bonuses and promos though not enough to compete with other bookmakers which offer top betting bonuses. GentingBet promotions always have a timeline, and they keep changing often. All information on current offers is usually available under the promotions page in the sports section. This bookmaker has a first bet insurance promo that also is a welcome offer for new players. New players to the sportsbook get up to £40 First Bet Insurance that matches their stake for the first bet that is lost between £10 and £40 (at odds of evens (2.0) or higher. A wide range of betting markets that match the interests of players coupled with the best betting odds are always the selling points of most bookmakers in the industry. The industry is quite competitive, and bookmakers have to keep impressing their clients and potential clients with unmatched odds and popular markets especially football games. Some of the GentingBet betting odds are beginning to be of use in the larger odds comparison sites, and the prices are attractive across all games and especially on football games. Generally, the quality of this bookmaker’s odds is slightly above average, but with a few improvements, they should gain a better competing chance with other leading bookmakers. The GentingBet markets are wide, and all the current big events are listed under the quick links section on the left-hand side of the page. All markets available are listed further down, with football having the most extensive coverage. With live betting being among the latest and most celebrated technologies in the betting industry, the best live betting bookmaker has an excellent chance in tapping into the player base. GentingBet live betting is available, and it allows players to wager their money as the game is going on. The live betting market is small but covers the most popular games. All the live events and other upcoming events are displayed under the In-Play section of the sportsbook. GentingBet live betting odds are generally fair, and they keep changing as the game goes on. The live betting offer here is simple but with an excellent setup that allows players to place their preferred live bets. Players choose bookmakers who give them the freedom to bet with as much as they want. At GentingBet, the minimum betting limit is set at £0.01, and this caters well to low risk taking players who prefer to bet small amounts of money. There is no maximum betting limit at GentingBet but the maximum amount of money that a player can win in 24 hours, regardless of the bet size is up to £100,000. High rollers are also well catered for because there is no maximum bet limit. The maximum winnings per day are quite low compared to most good performing bookmakers. Live streaming bookmakers are currently increasing rapidly in the gambling industry. Bookmakers have discovered that when players can access live streams, they are attracted to place more live bets which are good for the bookmaker’s business. Live betting goes hand in hand with live streaming though at the moment GentingBet live streams are not available. Given the potential of the betting site, players should look out for live streaming in the near future. Most of the betting sites that are serious with their sports offering have betting apps that accommodate players who choose to bet on their mobile devices. GentingBet is considerate to all players and has an app that players can access and bet at all the time from their mobile devices. The GentingBet betting app is available for both Android and iOS devices. The App can be downloaded from the App Store for iOS devices and Play Store for Android devices. The betting app looks good and provides players with the desktop site functionality. The app has more interactive features, promotions and a broad market range including football, tennis, boxing, horse racing, cricket, and rugby among others. The mobile app does not support the live chat customer support platform. Players can access the betting website using their mobile browsers when they need live chat services. The betting app also has only live betting and no live streaming. Bookmakers deposit methods are always numerous across the industry because sportsbooks are always trying to win new players and they try to make the deposit process as easy and convenient as possible. GentingBet has several payment methods that are similar for both deposits and withdrawals. GentingBet payment methods include Visa, MasterCard, and Maestro Debit/Credit cards. The minimum deposit and withdrawal limit at GentingBet is £10, and there are no specified maximum limits. Deposits are instant while withdrawals take a processing time of 3-5 business days. Depositing or withdrawing at this bookie does not attract any charges. How would you rate GentingBet?